Finding Echo Park Real Estate has never been so easy. If you are looking for a house in Echo Park, you can search for properties by zip code 90026 or area name. Echo Park is an established community of Los Angeles located northwest of downtown L.A. It is east and southeast of Silver Lake, north of Westlake and Mac Arthur Park and southwest of Elysian Park. 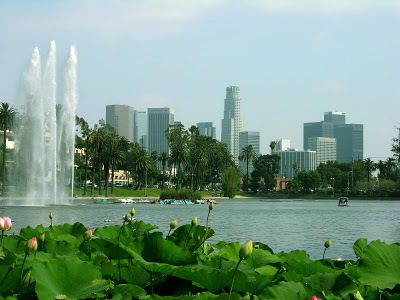 Echo Park Lake is a landmark in the community that grew up around it. Echo Park CA is practically walking distance from downtown and it is gentrifying at a rapid pace. The restaurants, boutiques and coffee houses plus art galleries, music venues and diverse night life seen make this a great place for the young and young at heart. 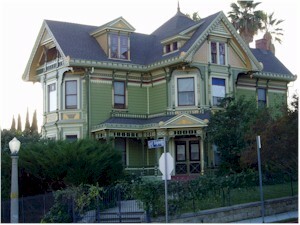 Angelino Heights is an area within Echo Park that is home to a number of restored Victorian Homes and is one of Los Angeles Historic Preservation Overlay Zones.The feel of yesterday is so strong in Angelino Heights that the neighborhood is a perennial favorite of film crews. Get an authentic taste of the past with a drive down historic Carroll Avenue with its hitching posts and antique street lights. Echo Park Real Estate consists mainly of a collection of California bungalows built between 1910 and 1940. Most homes have 900 to 1,400 square feet, are two bedrooms, one bath. Lot sizes vary by street and some homes in the hills have fabulous views of downtown Los Angeles and all the way to the Pacific ocean. Condos in Echo Park are also a wonderful part of this community. The demand for Echo Park Homes is increasing. Picturing your own home in Echo park, CA is a reality. The scenic beauty of the lake in the middle of the park, with lotus plants in the front, speaks of the serenity of this place. The wide serene sky, with LA skyscrapers in the background creates a perfect background of city life and a neighborhood community. Echo Park is an old neighbor of Los Angeles, located about two miles to the northwest of downtown L.A. The purpose of the reservoir at the time was to provide power to the Woolen Mill at 6th and Figueroa and also to serve local residents. These days Echo Park Lake is merely a recreation site with paddle boats for rent, a walking trail around the perimeter, trees for shade and tables and benches for picnicking and relaxing. It is home to the annual Lotus festival and serves as a back drop for many community events throughout the year. Initially, the area we now know as the park was a natural arroyo. The Los Angeles Canal and Reservoir Company dammed the arroyo in 1868 to create the reservoir. Click here to read more about the history of Echo Park.